High Peaks Pure Earth is happy to post the English translation of a poem by Woeser which was written for the eightieth birthday of His Holiness the Dalai Lama. 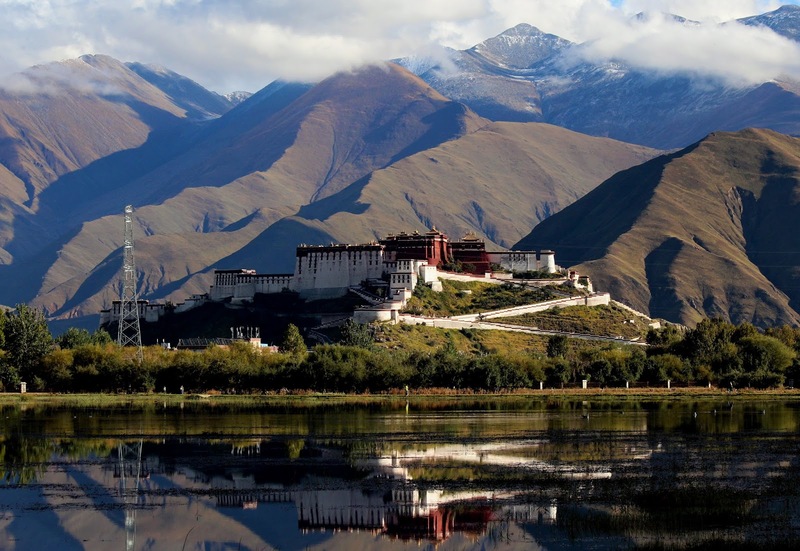 The eightieth birthday fell on 6 July, 2015, yesterday, according to the western calendar and was on 21 June, 2015 according to the Tibetan calendar. The poem was posted on Woeser’s blog yesterday: http://woeser.middle-way.net/2015/07/rfa_6.html and was translated into English by A.E Clark. The poetry volume of Woeser’s, Tibet’s True Heart, translated by A.E Clark remains one of the few publications in English of Woeser’s poetry and is highly recommended. ‘Twas just before nightfall, twenty years ago. Even submitting to the assignments handed down by her Work Unit. When she was dispatched to a spa at the hot springs east of Lhasa. Uncanny but charming, like the water snakes darting in the pools. Who chatted matter-of-factly about Guru Rinpoche and dakinis. I felt great affection for them, though we had barely met. But it ill suits a tainted brow. But they’re jarring, from lips stained with lies. That I may present it to an old man in a deep red robe. These bind the generations tight. On that road the scenery teemed with metaphors. Deep in meditation caves beneath the mountains. Had I been so bold as to intrude, whom would I have met? The black one who didn’t bow his head to graze but stamped his hooves — why? Who bore fagots on her back with words not of complaint but of gentle praise for Tara. It was forbidden to burn incense, forbidden to cast tsampa . . .
It’s just before nightfall, again; these twenty years have flitted by. In the capital of empire, far from home, I am a stranger in a strange land. Though it’s hard to break through the gathering darkness. I wait through the night for dear guests and the rattle of chains at the door. What we long for has not come, and this incarnation of our life is in decline. And the untimely deaths of the young, one after another, who do not know the meaning of weariness. I call Heaven and Earth to witness: karma shall make its weight felt in due time. On the road . . . Excerpted from a poem Woeser wrote in May 1995 on the way home from a visit to the hot springs at Meldro Gungkar, east of Lhasa. A slightly different version of the poem can be read in English here. Guru Rinpoche An Indian mystic named Padmasambhava who came to Tibet in the eighth century C.E. and played a decisive part in the dissemination of Buddhism there. The medieval account of his life is filled with miracles. A wish-fulfilling jewel This legendary object appears frequently in both Hindu and Buddhist folklore and iconography. The term is also an honorific title for the Dalai Lama. We wait through the night From the final couplet of Osip Mandelstam’s “Leningrad.” Bernard Meares interprets the “dear guests” as a veiled reference to the police.